Hit the Branford commute in style while enjoying the 2019 Honda CR-V interior. This attractive new model delivers plenty of convenience and comfort features to make your drive more exciting and inviting. Check out the Honda CR-V interior features below or head to Westbrook Honda to see this vehicle and its features in person. The new 2019 Honda CR-V interior delivers a lot of innovation that will certainly impress anyone who gets into the cabin. From materials to tech, you’ll enjoy all the innovation found inside this model. Along with high-quality finishes and innovation, the new Honda CR-V interior provides a lot of technology features that make the cabin more exciting. 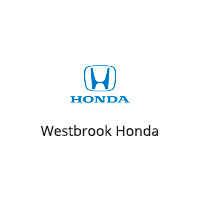 When you’re ready to hit the open roads in a comfortable model, visit Westbrook Honda and try out the 2019 Honda CR-V and compare it to the Honda HR-V. With a comfortable interior and advanced safety features, this vehicle makes the perfect companion for your everyday commute or your long adventure. Contact us today to learn more about our inventory options or talk to our finance team about our current vehicle specials or to apply for financing.